Charlotte Parsons slipped out of her 1964 Pontiac GTO and snoothed down her plaid skirt before picking up a pile of books. It was her first day of college, and she was bothe nervous and excited. It had felt like this day would never come, and now, here she was. Last fall, I watched Ken Burns's documentary The Vietnam War. It was before my time, but 'too recent' to be covered in my history classes so I had little real knowledge of what went on during that time period. A number of novels have also been released recently which Susan has reviewed. 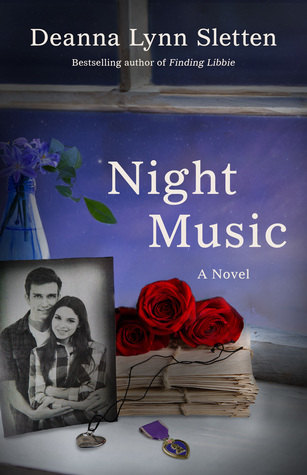 When I saw Night Music on NetGalley I had to request it. While I love historical fiction, I don't usually read books set in the 60s and 70s, but I'm curious about the Vietnam Era and sometimes fiction can be a safe place to explore a place or time. I didn't really know much about Night Music and I was relieved when it wasn't some highbrow literary novel (I have nothing against that genre I'm just feeling overload on it). It is actually a very sweet novel. The feel of the story reminded me of John Heldt's stories making a pleasant, enjoyable read. I liked the character of Charlotte (though it grated on my nerves that she went by Char). If you remember the television show American Dreams, she reminded me a bit of the main character Meg Pryor (without the American Bandstand references). She is a freshman at the local university and dating her brother's best friend Deke. Deke is the leader of the college's anti-war movement. Charlotte's brother was killed in Vietnam. Probably like a lot of young adults during that time, she wasn't sure how she felt about the war. To complicate things a bit, newly enrolled freshman Joe Russo just happens to be the Vietnam soldier she wrote to in high school. Everything is a bit idyllic in small town USA. Actually, because everything does seem so perfect and knowing how turbulent that time period was I was looking for the conflict with every page turn - I knew the shoe had to drop sometime. Keeping with the light town of the story, when the conflict did happen it wasn't as big, or as devasting, as it might have been with a grittier novel. I really enjoyed this novel but there were little details that would have really brought the story to life (like I'm pretty sure the college class wasn't called science but was biology or chemistry. Same goes for social studies - that's something you take in middle school, not in college instead it would have been civics or sociology). It didn't detract from the story and really is a minor issue. What I got out of the story (besides entertainment) was really seeing that this is when Americans lost their innocence. If you are looking for a light read or one set during this time period, then I highly recommend picking up Night Music. Unfortunately, I don't remember American Dreams, but that may be as I'm a Brit :) I still like the sound of this book, though. Thanks for sharing! It was a show in 2002. I don't know if it every played overseas. To me, historical fiction is any story set during or before World War II. I'm going to have to readjust my definition for sure. I took a historical ficton course at Coursera and the first class talked about what is historical fiction and there wasn't a true consensus. Generally, I tend to think of anything set during the previous generation (to mine) or before as historical. So the 70s and before is historical but things set in the 80s on is not. I grew up in that era. It is hard to believe that it is now historical fiction. Sounds like an interesting story. 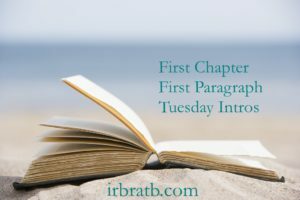 This week I am featuring Heart on Fire by Amanda Bouchet. Happy reading! I do enjoy books set during the 60s and 70s, since I was young then...but a sweet story doesn't reflect my experiences. But now I am curious. I think maybe the name was overused or something since it stuck out to me so much. I love this time period. I think I would enjoy this book. I watched Ken Burn's program too and not sure if I am ready to dive back in with a book. This was much lighter and not political. It was more about the individual and the internal conflict that period caused in people. Since I lived through that era, this sounds like a book I'd definitely enjoy. Thank you for posting the opening. My Tuesday post features Slightly South of Simple. I love historical fiction no matter when the history happened. I will confess, however, that it feels better if it happened before I was born. I love historical fiction and like you said, it gives you some info about different eras. Glad you had a good feel with this one.Thanks for visiting my blog. Hi - Thank you for reading and reviewing my novel, Night Music, and sharing your thoughts with your readers.